I bet you the parking situation is horrendous! Nothing new? These are very different. The technology is much better. WN's bubble house was very limited in size, for good reason. The combination of chain-link fence embedded in concrete (bubble house) is not sufficient for larger domes. 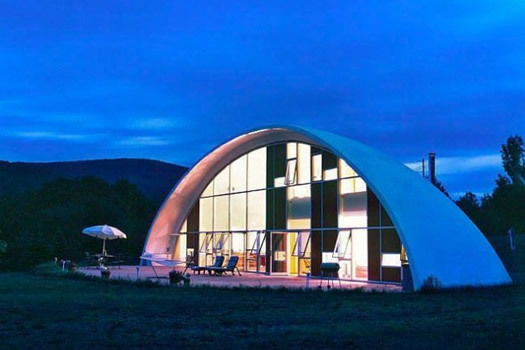 The monolithic dome combines concrete with re-bar embedded and foam insulation on the outside. The bubble house was maybe 25' diameter? The largest monolithic dome is nearly 300' diameter. The Monolithic company has continued to develop every aspect of their technology.